and those areas of inquiry which relate to the role of the individual in a democratic society designed to protect his/her integrity and dignity and which are concerned with the understanding and solution of the problems dealing with social issues and human relationships. Section 2. The purpose of the association is to promote the teaching of social studies to the best advantage of the students in the classroom; to coordinate the efforts of those who would be interested in the advancement of education in the social studies. Section 1. The elective officers of the SNCSS shall be chosen by the members in a method prescribed by the Executive Council. The Executive Council shall include the President; President-Elect; Vice-President; Senior High; Vice-President, Middle School/Junior High; Vice-President, Elementary; Treasurer; Secretary; and Member-at-Large. Should the office of President become vacant, the Vice-President in order listed will assume the responsibilities of the President until the next election. Should the offices of the Vice-Presidents, Secretary, or Treasurer become vacant, the Executive Council shall appoint replacements to serve until the next election. Section 2. The election of officers will take place in the spring of each year at the annual meeting of the membership. The term of office shall be for one year commencing one week following election. The President-elect after serving the one year term shall automatically become President for a one year term the next year. Section 3. The President will have general charge of the SNCSS will direct its activities and the activities of the Executive Council. Section 4. The Executive Council shall have the power to appropriate funds from the treasury, select the time and place for the annual meeting of the membership, appoint and review the actions of committees, determine the method of evaluating officers, and take such actions as are necessary to carry out the purposes of the SNCSS. The presence of 4 members of the Executive Council shall constitute a quorum. Section 5. Any regular member may serve a duly elected officer of the SNCSS. Vice-Presidents must teach at the grade level for which they are elected and be certified to teach in the field of social studies. Section 1. There shall be two levels of membership: regular and corporate. a. A regular member shall be defined as any person who is interested in the social studies and whose views are consistent with the SNCSS. Regular members may vote, attend meetings, receive mailings, serve on committees and hold elective office in the SNCSS. b. Corporate membership shall be open to interested business and corporations who share an interest in the purposes of the SNCSS. Corporate members may attend meetings and receive mailings but may not vote, serve on committees, or hold elective office in the SNCSS. Section 2. Annual dues for each level of membership shall be determined by the Executive Council. Non-payment of dues will result in the revocation of a person’s membership. Section 3. The Executive Council shall establish the time and place for the annual membership meeting to be held in the spring of each year. The election of officers and other business of the SNCSS shall be conducted at this annual meeting. Section 1. 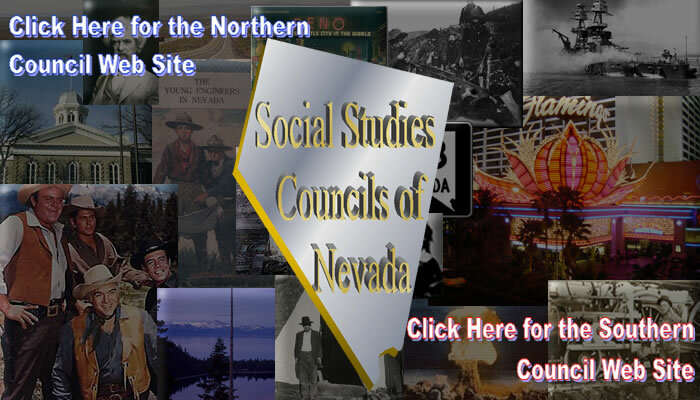 This constitution of the SNCSS shall take effect upon ratification by a vote of the majority of the charter members who attended the first organizational meeting on November 5, 1986, in Las Vegas, Nevada. The temporary officers nominated and elected at that meeting will become the permanent officers of the SNCSS until the next election at the annual spring meeting in 1987. Section 2. This constitution may be amended by a two-thirds (2/3rds) vote of the membership present at the annual spring meeting. Amendments may be presented by the Executive Council or by any member, providing that member has secured the names of ten (10) regular members as co-sponsors of the amendment. The petition must be submitted in writing to the Executive Council at least ten (10) days prior to the annual meeting. Section I No part of the net earnings of the SNCSS shall injure to the benefit of any member, officer or private individual (except as reasonable compensation for expenses incurred on behalf of or at the direction of the SNCSS), and no member, officer, or private individual shall be entitled to share in the distribution of any assets of the SNCSS upon its dissolution. In the event of dissolution, the assets of the SNCSS shall be transferred to any successor social studies organization or to a charitable organization as decided by the Executive Council.